I am happy to feature my IWWG sister, Lisa Irish in this guest post about her new book, Grieving -The Sacred Art: Hope in the Land of Loss, due to be published on April 3, 2018 by Skylight Paths. Lisa and I first met in a memoir writing workshop at an IWWG summer conference several years ago and shared an immediate bond, sharing hope through our stories. Today she will explore how her own journey through the Land of Loss “led her home”. I had a memory yesterday. in the space that I am occupying in this present moment. a golden glow threaded its way into my heart. I do not have a clear catalogue of memories, instead I hold tightly to very few that have been told and retold. New memories rarely appear, but when they do, I receive them as gift. They arrive as sensations or emotions, often without distinct storylines. Trauma came into my life when I was eighteen months old. To survive, the memories were set aside, the connections with my childhood frayed and faded away. When I started out as a writer, I was ready to step into memoir. I attended the International Women’s Writing Guild conference and entered the magical world of self-expression. Other conferences, writing classes and a creative journaling practice helped me believe that I was a writer. The fire within called out: Write your story! Everything in me focused on that call, it was a thirst I could not quench. The commitment to writing memoir was interrupted, I thought, when I received a contract to write a self-help book, Grieving – the Sacred Art: Hope in the Land of Loss. But the first, second and third drafts were written from a deep place of knowing, of remembering what loss and grief feel like. “The book wrote me,” a friend suggested and this process stirred up my memories, some long forgotten. The paths through the Land of Loss led me home. I share all of this with you, dear readers, because as memoirists we rely on these “shimmering images,” as Lisa Dale Norton calls them. We may describe the events of our lives with detail and shading, but our truth is heard through the heartbeat of these selected images. We write and work out the narrative, while the essence of our story speaks, revealing insight and healing. The moment of warmth and love that enveloped me in yesterday’s flood of sensations, came from a deep place I’ve protected all of these years. The memories were not lost, they were there…waiting…for me to return to them. Memories play an interesting role for grievers, as well. Sometimes they are painful – the table where she sat with her husband every night screams of his absence and she is unable to savor their favorite time of day. Sometimes grievers cling to their memories with clenched hands, fearful of forgetting the sound of her voice or his passion for football. For some, memories become faint or distant. They are pushed out of daily life, sometimes intentionally, other times unconsciously. There is a consequence, though, if we avoid the difficult images. We are complex beings. We cannot send painful memories to the land of not-remembering and selectively retain the sweet, happier moments with a loved one. If a mother avoids everything that is a reminder of her daughter’s death, for example, she may pack away the tender moments of her daughter’s life. Grievers, and all of us, benefit from experiencing all of our memories and feeling all of our feelings. Our memories hold the depths of who we are, as well as the connection we have with others. They set the scene of our personal narrative and reveal the path we are to travel in the Land of Loss. I was recently asked about my work in loss and grief, “What drew you to bereavement ministry, Lisa?” Well, I answered, my story began with a series of losses that I’ve spent a lifetime trying to understand. And, I continued, the opportunity for this ministry was placed before me during my work as a hospital chaplain, it just was a good fit. But, as I reflect further, dear readers, I realize that the great gift I receive when I support those who are grieving is to witness their vulnerability. Their pain has stripped away their defenses, their hearts are broken. Loss has demanded that they return to the core of who they are, as they learn to reshape their lives. Isn’t that our quest in memoir? Aren’t we seeking the core, the essence, the truth of who we are? Grievers, writers, and perhaps all human beings are called to search our inner landscape. Loss demands this journey. Those of us who write memoir have a bit more detachment, but we too are compelled to travel inward, to experience our vulnerability. I would suggest that is our gift to the world, as we bravely explore our story. Our process shines a light on the path of self-awareness and invites that same consciousness to those around us. Memoir, at its best, reveals the grace embedded in the human story. Each memory, long held or newly emerged, is a doorway to healing and hope. Thank you, Lisa for sharing your spiritual journey through your own Land of Loss to healing and hope. Your words shed a healing light on grief and its power to transform us. My favorite lines are: “Memoir, at its best, reveals the grace embedded in the human story. Each memory, long held or newly emerged, is a doorway to healing and hope.” You have inspired me to write about why writing is my spiritual practice which I will post next week. I’m looking forward to reading Grieving-The Sacred Art (preordered!). For most people, the pain of loss dominates their experience of grief. Grief then becomes something to be avoided or completed as quickly as possible. In her new book, Lisa Irish presents grief as our “ally” in the Land of Loss and offers pathways and resources to navigate the confusing and challenging terrain. She explores “conscious grieving,” as she gathers the wisdom of bereavement experts, spiritual leaders and everyday people walking their own individual paths. Lisa encourages us to let seeds of hope find their way into our grieving hearts, to allow self-compassion during the journey, and to trust grief’s healing process. Grieving – The Sacred Art makes a space for love in our sadness and leads us into a Land of Hope. “A beautiful work of the heart. Lisa Irish speaks not only from a professional knowledge of loss, but from her own lived experience. Her exercises, meditations and rituals offer valuable counsel, and her understanding of the vulnerability of the journey is key. “The heart initially begs for certainty,” she tells us, then goes on to show how the pathway through loss evolves, opening the door to a greater love that we may each find in our own way and time.” ~Paula D’Arcy, author of Gift of the Red Bird and Stars at Night. Lisa Irish, MEd, MA has been offering retreats and presentations for over twenty-five years. As the bereavement coordinator for Yale-New Haven Hospital and the Hospital of St Raphael in New Haven, CT, she ministered to grieving individuals, groups and community organizations. A chaplain and spiritual director, Lisa’s writing creates connection and insight for her readers. 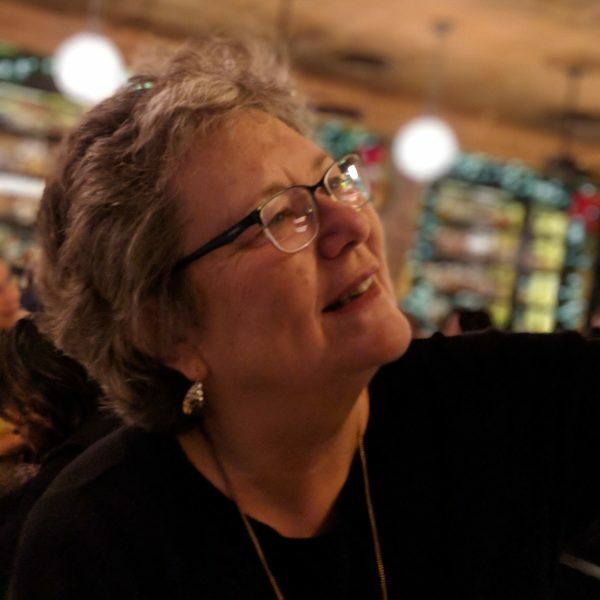 Her work has been published by Abbey Press in the Elf-help book, Grieving with a Grateful Heart and several CareNotes; Open to Hope, an online grief forum. How about you? Do Lisa’s words help you see grief in a new way? Do you feel grief can be a pathway to healing? If you are interested in receiving this monthly newsletter in your inbox, please sign up in the right side bar. I’d love to have you along!